5 Fun Ways Kids Can Celebrate Friendship Day! Friendship Day were words that brought about a lot of excitement to me when I was in school. Making or buying friendship day bands for friends in advance and feeling proud at receiving a lot of friendship bands from friends were feelings and memories I still cherish and feel happy just thinking about them. Party time: Any celebration is incomplete without a party. So, the best way to kick start the friendship day for your child would be to throw a party for her friends! You could consider organizing interesting and fun games, get a tattoo guy over who would get friends’ names tattooed on each others’ hands, get personalized stuff like balloons, paper bags, hats etc. and have a gala time see your child celebrate this day with their friends. Hand made gifts: Nothing says it better than a handmade gift. It makes the whole idea and occasion all the more special, full of warmth and affection. Encourage your child and his friends to make friendship bands, bracelets, cards, messages, poems or giveaways for each other all on their own. No matter how amateur or shabby it looks, your child’s friend as well as your child will definitely cherish it for life. Photo shoot: You could get all your child’s friends over to your place and organize a photo shoot. If you want to go a step ahead, take them all to a photo studio and get cool photographs clicked using props, unique backgrounds, special effects and themes. Print or frame these pictures and distribute these to her friends as a friendship’s day gift! Show Time:Check out the kids’ activities and fun things going around in your city on the occasion of Friendship’s day. Book tickets to kids’ movies, plays, fun fairs, carnivals or musical shows and let your child enjoy this day with his friends! 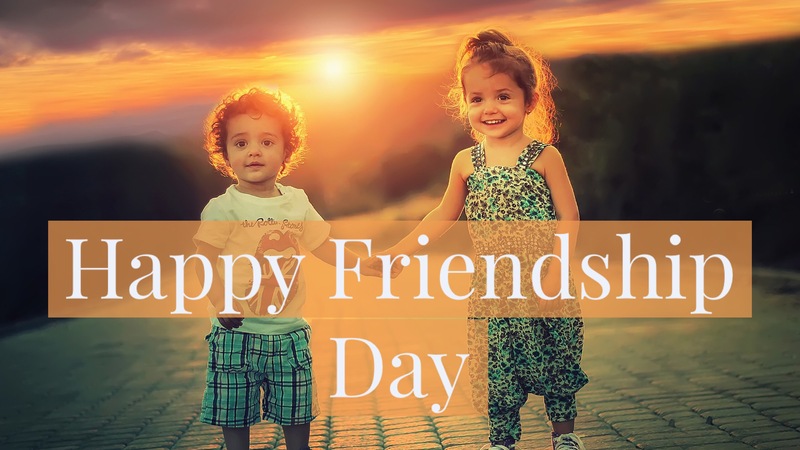 New friends: Friendship Day is not just about cherishing the old friends, it is also about being a friend to those who do not have any friends. Make a group of your child and her friends and offer to take them to the nearest orphanage, home for the poor or even an old age home! Distribute chocolates, sweets, cakes or any other goodies to the kids or old people over there and encourage your child to sing, dance and play games with them as well. This will let your child learn that the less privileged kids or even old people make good friends and will teach them very valuable lessons of life. You can always discuss with your child about the way he or she plans to celebrate friendship day and suggest your thoughts subtly. Also, don’t forget to give your child a special friendship day gift – from you as a parent – as parents should be the first friend a child should have for life! Life saw me juggle with the 5 Ps of Advertising and here I am juggling between the roles of a Mom and a Parenting Writer. Sowing seeds of meditation and Yoga in my tot and relishing every bit of Mum-hood, I intend to share my wonderful experiences with all the peachy parents out there. Follow me on Twitter (@pranitasohony) and on Google+(+pranitasohony), to stay updated! Next Jai Hind! KidEngage DIY hacks on how to host an Independence Day themed party for your kids!